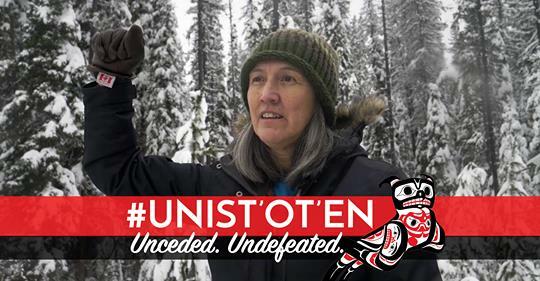 January 17, 2019: Following a landmark press conference yesterday, with the support of leaders from all over “BC”, the Wet’suwet’en and Unist’ot’en remain steadfast in the determination that we will be successful in halting the toxic Coastal GasLink pipeline, and all that threaten the health and safety of unceded and unsurrended territories. Originally published by Unistoten Camp. CGL and RCMP have twisted our words and misrepresented our intentions. They raided our land one dayand showed up offering protection the next. We do not trust them. They are liars, and bullies, and colonizers, and thieves. But we are not like them. We know what we are doing is right.